Most of the time, we tend to think in the moment without making much reference to our surroundings and how they have been shaped or formed. Nonetheless and despite our indifference – every place has a story to tell, and under our feet (or wheels) is history aplenty. For many years the Velo Club Deal has hosted a round of the London and South East Cyclo-Cross League at Betteshanger Country Park the former site of the last vestige of the Kentish coalfields. To my mind Betteshanger shares a commonality with parts of Northern France (or any other post-industrial landscape) and in particular the Arenberg Forest made infamous by the Paris Roubaix Classic cycle race. VC Deal have been organising a cyclo-cross race at Fowlmead, now called Betteshanger Country Park since 2009 (2015 results/pictures). The area is steeped in history with the adjacent sea-side town of Deal being a link in the ‘Cinque Ports’ of the south coast. Betteshanger can also be a ‘wild and lonely place’ because at its highest point as the wind bites, you can see out across a moody sea and in the distance there is the notorious Goodwin Sands. For many years the event was held at other venues such as the Lydden Hill Motor Racing Circuit (the birthplace of Rallycross) and it came to feature at Fowlmead when the coal mine closed and was then landscaped into a country park. It was at this time that the late Richard Wood took the opportunity to promote there. Richard passed away in 2013 and he had been a stalwart of VC Deal, the London and South East Cyclo-Cross League and a notable coach to a number of National Champions (David Williams, Ian Field, Michael Butler, Alex Paton, Max Sykes and Jack Finch). He also led the London Cyclo-Cross Association youth team to an unprecedented seven straight wins at the UK wide Inter Area Team Championships. The quest for coal in Kent was sparked when in 1890 boring was undertaken for a still born channel tunnel project and coal was discovered. With the decision not to continue with the tunnel the ‘Shakespeare’ colliery came into life before closing in 1915, but not before a number of miners were drowned in the process. After many test borings at inland and sea-side sites four were deemed suitable – Betteshanger, Chislet, Snowdown and Tilmanstone. In late 1920’s Betteshanger Colliery was opened and it became the biggest coalmine in the Kent coal fields. At its peak in 1913, 287 million tonnes of coal was produced from all British pits and last peaked in 1952 at 228 million tonnes. The driving force for the demand for coal was firstly the industrial revolution of the 19th century (especially after the development of ‘Coke’ to fuel furnaces) and then the generation of electricity in the 20th. 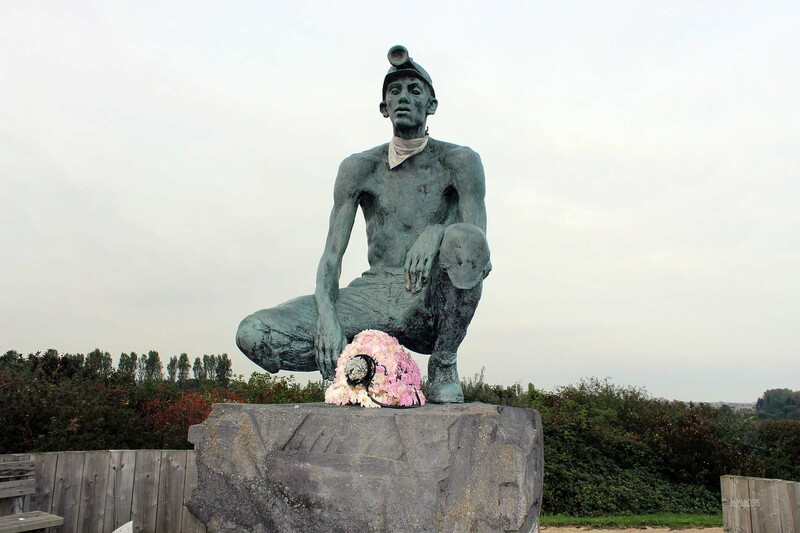 The people of the Kent coal fields would have had some things in common with miners from Arenberg in northern France, now made more famous by its close association with the Paris Roubaix cycle race classic. The race runs through the coal fields in an area which Emile Zola immortalised in his seminal book ‘Germinal’ (pub. 1885) that centres upon the lives of miners and their families. Zola wrote about the harsh working conditions in the mines and the hard lives of their families in the 1860’s. In Britain and similarly across Europe, many workers did not work directly for the mine owners but gained work through a ‘Butty Man’ (so called in Britain) who held contracts to mine coal and then employed the men to do the work. This often meant that ‘Butty Men’ would win contracts by offering his crews at the lowest prices and thus the detached owners were not too concerned about the safety or living conditions of the miners. In addition to the vagaries, insecurity and exploitative nature of the ‘Butty system’ mine owners also held sway by owning the shops and housing allowing them to fix prices and punish workers with ‘fines’ or by paying wages in goods priced at an exuberant rate in a practice known as ‘Truck’. Emile Zola’s ‘Germinal’ echoes the same in the northern French coalfields and at the Arenberg colliery. The book also illustrates the growth of trade unions and the growing agitation for better conditions, greater safety and wages. In Britain in 1872 the practice of ‘Truck’ was made unlawful by the 1872 Coal Mines Act and owners were now forced to pay wages in coin of the realm only. This saw a curbing of the ‘Butty’ system, but not all the worst practices were wiped away. It was this social and industrial legacy that miners and their families took into the new Kentish coalfields in the 1920’s. The idea of a Kent coalfield was developed to allow greater access to the London and the south east markets. When the first shaft was completed at Betteshanger Britain had just come out of the long ‘General Strike’ of 1926, a strike that had bitten hard into the social fabric of many communities. The new Kent coal fields offered a chance of new hope for many workers, their families, blacklisted and unemployed miners – all made their way from the coal fields in Scotland, Wales and northern England to seek work. It was common for miners to walk or cycle from Wales and elsewhere to Kent in the hope of work, better wages and conditions. Soon Deal had become a magnet for political and economic migrants from across Britain. The four pits of Snowdon, Tilmanstone, Chislet and Betteshanger saw production grow between 1925 and 1935 as the owners were able to undercut their northern competitors in feeding the demand of the south east. A figure of 10,000 plus people could be said to be connected to the Kent coal field by 1935. The village of Betteshanger and the towns of Deal and Kent saw a huge influx of migrants with sea-side buildings crammed full by miners and their families. The people of Deal were not always best pleased to see the mass influx of miners and housing became a major issue for workers and the union movement with often four or more families sharing one house. Betteshanger became well known for its militancy as many of the miners working there had been blacklisted in their home areas, and they continued their agitation for the best for themselves and the end of dangerous bad practices in the industry. For instance at Betteshanger they undertook industrial action to protect their break periods when mine managers asked men to work through their ‘snap time’. At first there was no pithead baths at Betteshanger and this issues was one of many that the workers fought for. In addition access to education and better living conditions were high on the lists of demands by the Betteshanger miners’ union. They sought better housing and they pushed hard for the building of council properties having got involved in local politics as miners families were not always treated equally as others. By the 1930’s you had to be in the union to work at Betteshanger and there were notable strikes in 1938 and in 1942, the latter a strike that saw activists imprisoned for breaking war time legislation. By the 1970’s the coal industry was deeply in decline affected by ‘cheap’ imports of coal. Pits were closed across Britain such as in the North East coal fields where 100 shutdown during the 1950’s and 60’s. The final death knell for Betteshanger and many other coal mines was when in 1984 Margaret Thatcher and her Conservative government announced that 20 further coal pits were to close. This resulted in a yearlong UK wide strike that was bitterly fought especially at Betteshanger and where some of the worst violence, and resentments were seen. When the National Union of Mine Workers called an end to the strike coal production in Britain had fallen to just over 18 million tonnes a year, a far cry from when at its peak. The Betteshanger miners were the last to go back to work and just a few years later in August 1989 coal mining in Kent ended when Betteshanger closed. In 1994 John Major privatised the coal industry and now only a much smaller number of mines are deemed economic to continue. The villages of Betteshanger, Chislet and others feature much miners’ heritage and there is now a ‘miners trail‘ that links them together and enables people to rediscover the industrial history of this relatively small area. The sprawling Betteshanger colliery site is now the home of the Betteshanger Country Park formerly called the Fowlmead Country Park and was opened in May 2007. The site is now owned by Hadlow College, which offers agriculture, horticulture and land-based engineering courses. The Park is open to walkers, cyclists and features a road cycle circuit that hosts many races. Apart from a memorial and a display in the visitors centre reflecting upon its past the site has been swept clean of much of its industrial heritage; gone are the mine buildings, railway, pit head and the large slag heaps have been moulded into the landscape, but what really recounts its heritage is the soil – this is thick with coal spoil that shines black through the grass. The same can be found at the Arenberg Forest a major section of course on the Paris Roubaix race route. When you stand at the highest point of what was the Betteshanger colliery, and whilst bracing yourself against a searing wind that cuts through to your soul, you can look across the sea toward the Dover Straights and out across the coast to see the ‘Goodwin Sands’. The Goodwin Sands is 10 miles long of shifting sand banks that has seen 2,000 wrecks. The sands here shift cyclically and vessels or planes lost under the sands can be made visible until covered once more. It may have been the coal field that has dominated the local economy from the 1920’s but before that the boats of Deal had fished the waters and it was they who ventured out to save who they could as ships floundered on the sands in 1707. Such was the strength of Deal boatman that Prime Minister Pitt ‘the Younger’ (1759-1806) had all their boats burnt accusing the men of Deal of smuggling. To which few could really deny. Deal was a part of the once important, but now a ceremonial grouping of ‘Cinque’ ports that protected the narrowest section of the sea to France both militarily and economically. Deal was an important military garrison town during the Napoleonic Wars and over a century later these barracks were bombed by the IRA in September 1989, killing 11 marines from the Royal Marines Band Service and wounding another 21. Today the sea-front is much more pleasing on the eye than how Dickens found it. Cycle sport has from its early beginnings been an outlet for miners and general workers alike, the coal fields of Belgium drew in Italian workers to feed their industrialisation and races such as ‘Bastogne Liege Bastogne’ have an Italian feel even to this day. 1962 World Champion Jean Stablinski (1932-2007) worked in the Arenberg mineand it was he who advocated the ‘Arenberg Tranche’ to be included in the ‘Paris Roubaix’ race, and although Betteshanger may not have seen conditions as those painted in ‘Germinal’ nor has produced a cycling champion of world renown, the industrial soil is much the same as that in northern France and both share a post-industrial legacy. Dedicated to the late Richard Wood and all at VC Deal.